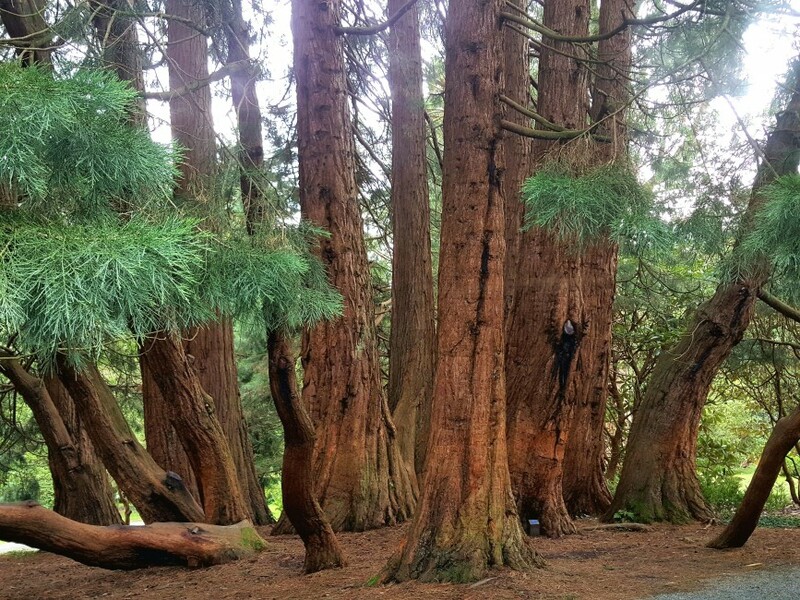 Thanks to Sally Montgomery for sending us a picture of this giant sequoia tree in Castlewellan, Northern Ireland. This tree has a very interesting history. This very unusual multi stemmed giant sequoia won Northern Ireland’s Tree of the Year for 2018. The tree dates back to 1856. They were planted by William Annesley who got 10 seedlings from the Veitch Nursery where John Lobb worked. John was the person who brought the giant sequoia to the UK. This tree is in the courtyard of the Ballsbridge Hotel in Dublin Ireland. There is a metal plaque by the tree but it doesn't give any information other than its species. Thanks to Bob Dambrauskas for sending us this picture.